Black Mariah is a Marvel villain known for battling the hero Luke Cage. 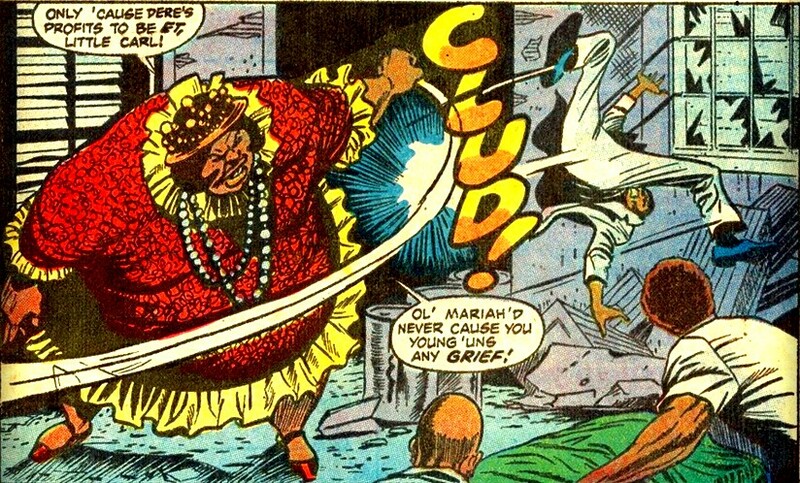 Black Mariah will be villain faced by Luke Cage during the Netflix Luke Cage series. Actress Alfre Woodard will play Black Mariah in the series. Black Mariah was an established drug lord in Chinatown and Harlem, NYC. She appears early in Luke Cage's hero career and then again after he forms his partnership with Iron Fist. Black Mariah is a leader of a gang criminals who use converted ambulances and paddy wagons to kidnap or move people. The name Black Mariah is a term for a paddy wagon and is where she gets her name. There business was in covert moving of criminals or evidence as a kind of specialize crime cleaning service. One of their more lucrative schemes was to cart of the bodies of wealthy people who die in public spaces and use the corpse's keys to access their homes and steal their valuables before anyone even knew they were dead. Luke Cage is hired to find the body of a man named Frank Jenks by his widow. Frank has been one of the corpses taken by Black Mariah's group. Luke Cage hunted down the group and beat up Black Mariah's thugs. Due to Luke being at first unwilling to strike a woman, he takes a lot of punishment from Mariah. However, she is unable to do serious harm to the nearly invulnerable hero. She eventually gives up and tries to take off in a boat. Luke jumps and capsizes the boat leaving Mariah floating in the bay. Iron Fist is spotted outside one her bases and she sends her new Chinese thugs to, "cut his heart out". Iron Fist fights his way through her thugs, and defeats Scimitar. However, he overlooks Black Mariah. She stabs him with drugged sewing needles. The drugs barely allow Iron Fist to maintain consciousness and Mariah knocks him out. She tosses him off the roof. Lucky for Iron Fist he is caught by his partner Luke Cage. Cage then proceeds to take down Scimitar and Mariah. He throws a lamp post through a van they are attempting to use to escape. These are the only appearances I know of Black Mariah. 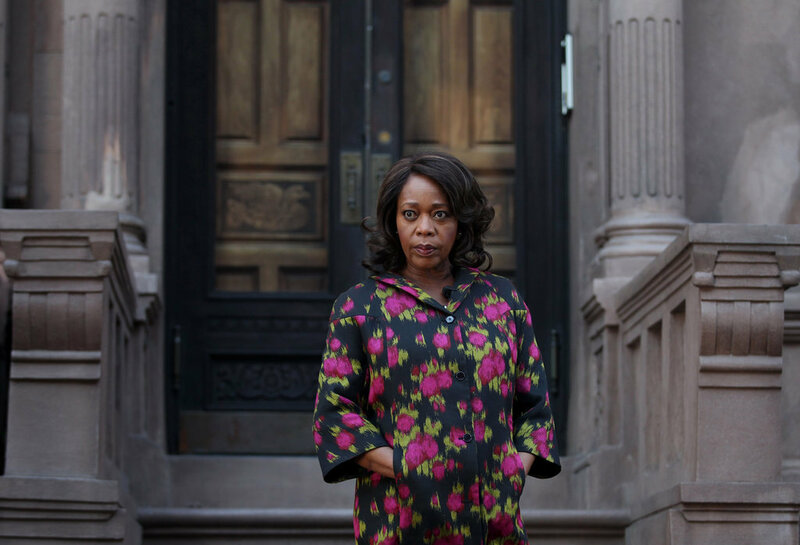 Actress Alfre Woodard will play Black Mariah in the Luke Cage Netflix series. It sounds like her version will be tweeked and Black Mariah will be named Minetta and will be politically powerful drug dealer and criminal in the community. Mariah's connections with the Chinese gangsters may help the series connect to Madame Gao's aka Mother Crane's organization in the Daredevil season series. It is said that she will be a cousin of the other main series villain Cornell Cottonmouth. It seems like she will use her legit political power to cover up for the criminal enterprise of her cousin.